OpticVyu-N Box Construction Camera incorporates DSLR to capture professional quality images at regular intervals continuously. The box camera includes Nikon D3400 to produce images with an amazing resolution of 24.2 megapixels and inbuilt 3G/4G/LTE cellular network based Wi-Fi to upload the images in real-time. The plug & play camera systems are easy to install & relocate. The camera incorporates a wide angle lens providing a viewing angle of 109 degrees & is suitable for well spread sites. OpticVyu-N Box Construction Camera can be customized as per the client’s requirement by updating camera hardware & necessary backend algorithms. For ex, telephotography lens can be used to monitor distant sites (1.0-1.2 Km away from camera location). On the contrary, fisheye lens can be used to monitor extreme wide sites. The box camera includes Nikon D3400 to produce images with an amazing resolution of 24.2 megapixels and inbuilt 3G/4G/LTE cellular network based Wi-Fi to upload the images in real-time. 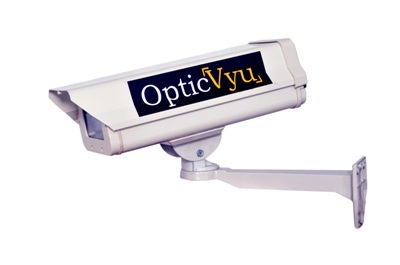 OpticVyu construction camera captures best possible details of construction site with ensured image quality. Camera has inbuilt Wi-Fi created over cellular networks & is utilized to upload image data on cloud servers which can be accessed through OpticVyu dashboard. For regular construction sites, OpticVyu 5MP construction cameras produce unmatched images. 7days standard video retention on cloud. Retention time can be increased up to 3 years if needed explicitly. Internet connection (LAN) needed from clients end to upload data from camera to cloud servers. If available cellular network based Internet upload speed is above 2MPBS, LAN connections can also be avoided. This camera is simple to install, easy to change location, no configurations/settings needed & feeds can be seen by simply login to OpticVyu dashboard via login ID & Password. Note: Most of the features of construction cameras are not available with video only camera.